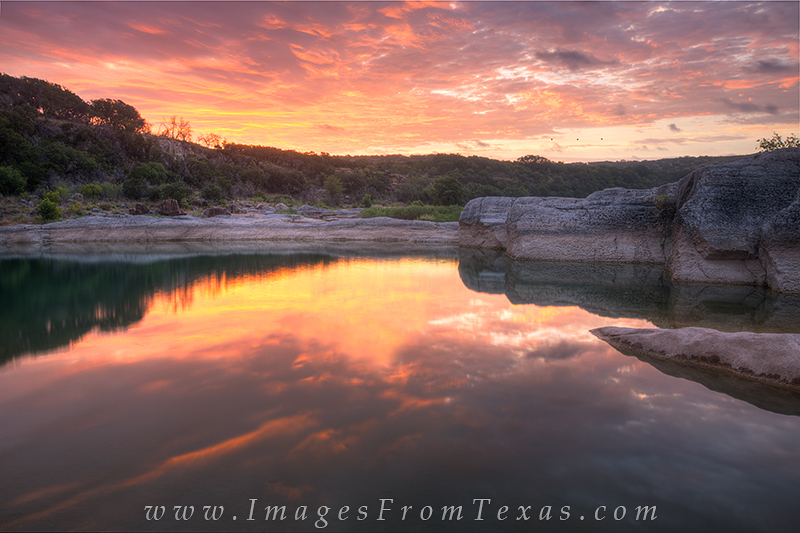 I had gone out to Pedernales Falls State Park to photograph the stars over the landscape in the early morning hours. However, clouds blocked out most of the stars, so I waited about an hour or so and was rewarded with this beautiful sunrise. The sky seemed to catch fire for a brief few minutes as the sun lit up the fast moving clouds. It was a beautiful and moving sight. Photo © copyright by Rob Greebon.